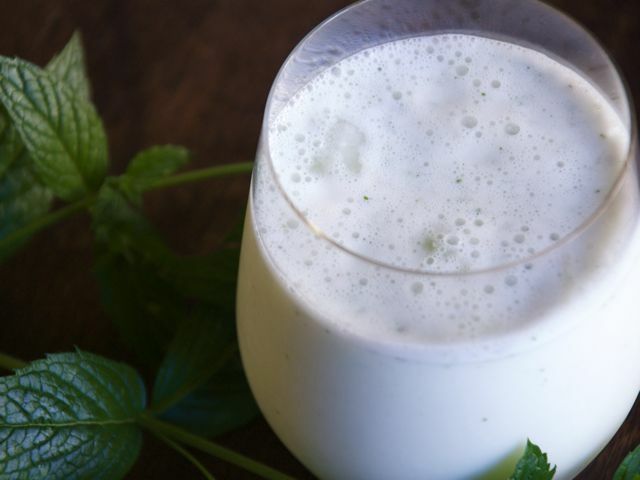 On a hot summer afternoon, this refreshing drink makes a wonderful snack. Though I'm sure whole-milk yogurt would taste great, low-fat yogurt is what I have most often in the fridge. Put all the ingredients in a blender, top with the lid, and blend until the ice is broken down and the mixture is slushy. Serve immediately.